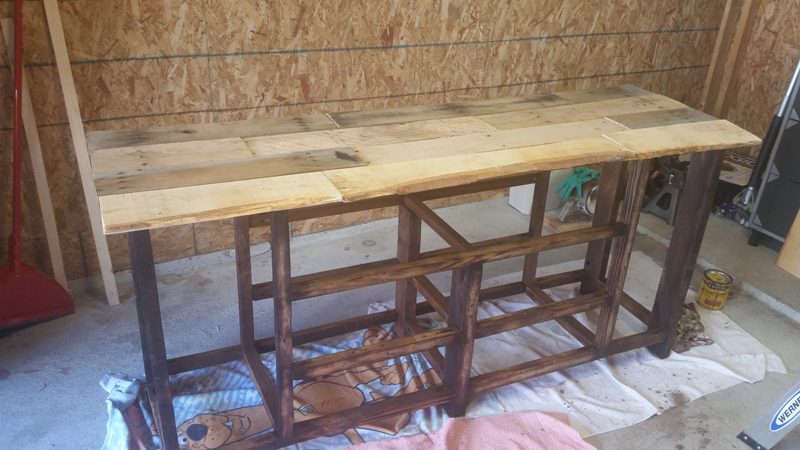 Going with the theme of my apartment I decided to make an entertainment center using reclaimed pallet wood. I first measured out all of the sizes the cut outs would need to be to fit my equipment as well as future equipment I am going to want. I used a friend's table saw to rip the thicker boards into 2"x2" to make the frame, and used the thicker boards for the legs. Continue building out the frame and add supports for the shelves that will hold all of the equipment. 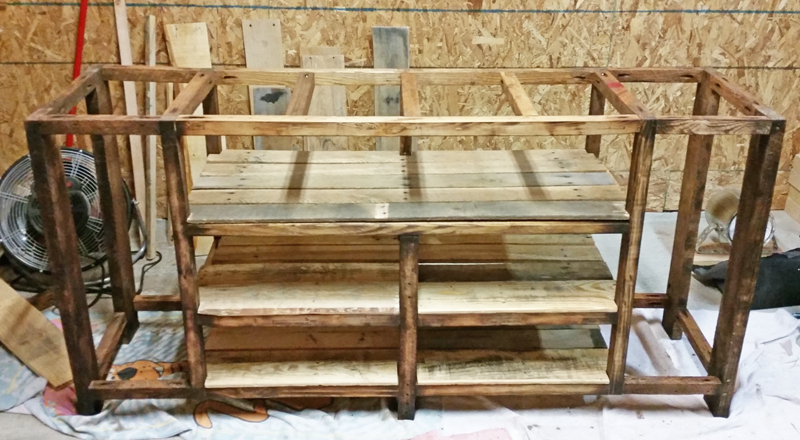 Stain the frame and cut boards to size for the shelves and top. Lay them out to ensure a good fit and cut notches where the boards meet the frame. Cut boards to fit the opening on the side and attach them using pocket holes. Add boards to the bottom and to the back. Drill holes in each area to allow cords from each of the components to go through and then drill and screw down all of the shelves, working from the bottom shelf up, as well as the top. I used a propane torch to darken the edges, and gave the whole thing a good sanding before applying the Minwax Early American stain. I also left the live edge on the front boards, I think this adds to the character of using reclaimed wood. Create some doors that fit the opening and attach them with the hinges. I just used a couple of thin strips of wood that I glued and screwed into the boards to hold them together to make up the door. 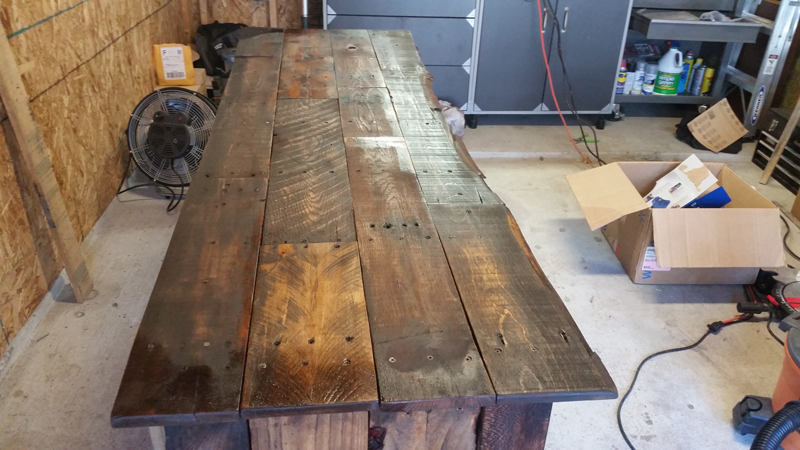 Apply a polyurethane finish to protect the entertainment center and cut off the end of a railroad spike, drill and tap them to use them as a door pull. That's it! Now it's time to load all of your equipment into it and enjoy it!